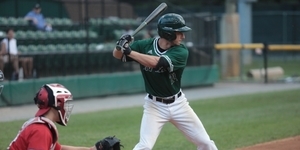 After nearly two months of baseball between the Cal Ripken League’s ten teams and two rounds of playoffs, the season will come down to the same finale as each of the last nine years: Big Train will face the Baltimore Redbirds to decide the league title. This year’s matchup may seem even more predestined than usual. Both teams ran away with their respective division titles in the regular season and swept through their playoff semifinal series. Bethesda won the season series over Baltimore, 3-1, and finished with a slightly better record, but it has been apparent all year long that these two clubs were on course for another exciting championship encounter. Both teams booked their place in the championship on Thursday. The Redbirds eliminated the FCA Braves with a 4-3 win to sweep their best-of-three series, while Big Train pulled away from the Silver Spring-Takoma Thunderbolts, 14-8. Big Train has won five of the nine previous championships against the Redbirds, including each of last two. Only two Bethesda players, Fox Semones (James Madison) and Cam Vassar (James Madison), were also on the roster in 2017. Notably, Big Train shortstop AJ Lee (Maryland) played for the Redbirds a year ago. Neither team has announced probable pitchers for the opening game, but each features a lineup stacked with Ripken League all-stars. Bethesda sent 15 players to the South Division’s all-star roster, while the North Division’s team featured 11 Redbirds. Year 10 of this championship rivalry begins at 7pm on Saturday at Povich Field. Game two of the best-of-three series will be at 6 p.m. on Sunday at Calvert Hall High School in Baltimore. If necessary, game three will be back in Bethesda at 7 p.m. Monday. The Big Train social media pages (@gobigtrain) will have live game updates as well as any scheduling news throughout the series. As always, Max Wolpoff and PJ Glasser will have the call of every game on the Big Train radio broadcast at the “Watch Live” link on the Big Train homepage.